The client in Barnes was having problems with her new Apple iMac computer. She wanted our engineer to come for a home IT support visit in Barnes. She wanted some training and Mac repair (email setup). This Barnes resident had recently moved from Windows platform to Mac OS and was unfamiliar with the Mac Operating System. She also wanted to move her Microsoft Outlook emails from her old PC laptop to her Mac (iMac desktop) and setup her email accounts on Apple Mail. Our repairs engineer went to her house in Barnes and transferred all her emails and data from her old Windows laptop to the new iMac computer. He also repaired and solved other issues she was having with her new Mac computer. He taught her how to use the new Mac Operating System. She was very happy with our Mac repair service and even called the shop to say thank you. If you already have a copy of Outlook for Mac, simply launch it, choose File > Import, select Outlook Data File (.pst or .olm) in the first Import window. Select Outlook for Windows Data File (.pst), click Next again. Navigate to the .pst file you’ve copied to your Mac, select it, and click Import. The messages will be imported into Outlook and filed under the On My Computer heading. Drag the folder that contains these messages to the desktop and it will be turned into an mbox file that you can import into Mail. Our shop is based in Putney, just round the corner from Barnes. 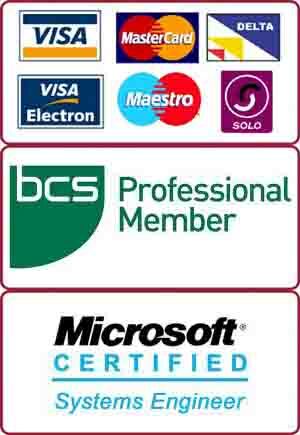 We also do onsite visits to Barnes and surrounding areas for PC and Mac problems. We have expertise in PC and Mac repairs including Macbook repairs and iMac repairs. Our charges are very nominal and charge £60/hour. Most of the jobs can be finished within one hour. In most cases we can give you a fixed price for your onsite Mac repair job.